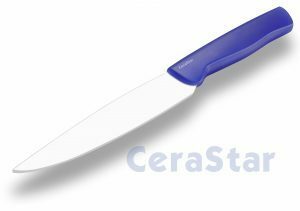 The CeraStar Ceramic Knife is an innovative modern high-tech product. Originally the ceramic material used for the knife blade, matured in the research of the aerospace technology and shows a significant hardness. High-tech methods during the manufacturing process allow the knife to achieve it’s extreme sharpness. The creative design of CeraStar Knives has recently been awarded a wordwilde patent. 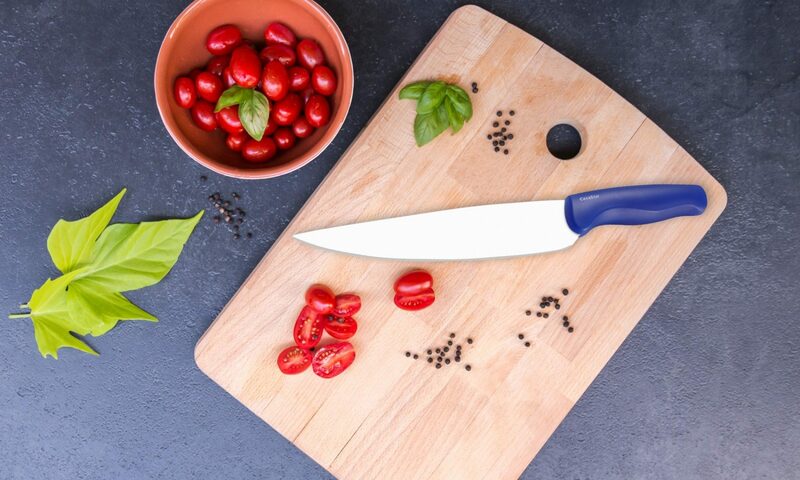 The knife handle is opaque and made out of high value plastic (available in different colours) while the ceramic blade comes in white only. You can purchase our products in Amazon.